MOVE IN READY! 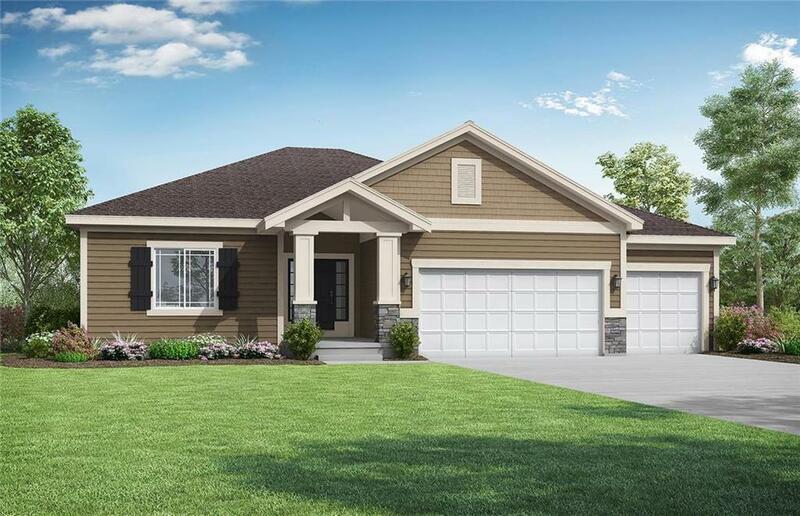 The Carbondale by award winning Summit Homes. 3 bdrm, 2 ba Ranch with 1504 sqft of future value on the unfinished lower level. Covered Deck on Daylight treed home-site. Extended Garage, Master on Main Level. Massive Island Chefs style kitchen. Open concept living spacious great room & dining area. Granite tops throughout Master suite has Monster size closet attached to laundry-mudroom. Walk-in shower w/ floor to ceiling decorative tile walls, his/hers sinks. Front Porch over-sized, Pics Ref Only WOW! Directions: 49 S to 155th Street West. Follow past first entrance to Creekmoor past the 108 Acre lake and turn right on Madison Street. Turn right again on Turnberry Lane. Right again on Grandshire Drive follow to end of street up the hill on the right.